Above the Influence help teens stand up to negative pressures, or influences by providing them with more aware of the influences around them so they can be better prepared to face them. The website helps teens explore the pressures surrounding the use of drugs and alcohol and provides another perspective along with the latest facts teens need to make their own smart decisions. NIDA for Teens website features videos, games and infographics regarding drug facts and how they affect the brain and body. The website provides teens with information regarding drugs of abuse, how they affect the teen brain, the use of social media in the teen world as well as drug trends and paraphernalia. All information is provided by the Drug Enforcement Administration (DEA). The website provides youth as well as teens fun interactive games and facts about the harms of underage drinking. 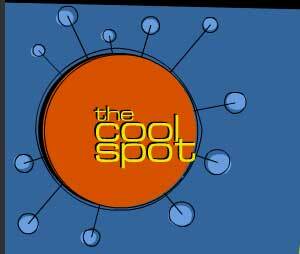 The Cool Spot is the young teens place for info on alcohol and resisting peer pressure. The site is aimed at kids 11-13 years old and provides a clearer picture about the dangers and myths of underage drinking and teaches skills to resist pressure to drink.